Team Pilipinas, nee and still Gilas to many, impending head coach Joseller “Yeng” Guiao’s style should gave foreign opponents more to think about than just the regular problems faced in the hardcourt. Guiao’s unpredictable deployment of his rotation and maximized use of a player’s skill and talent will give our Asian opponents a harder time to scout Gilas and his equal distribution of playing time will surely force them to either also use their supposedly inferior bench or tire out their starters. 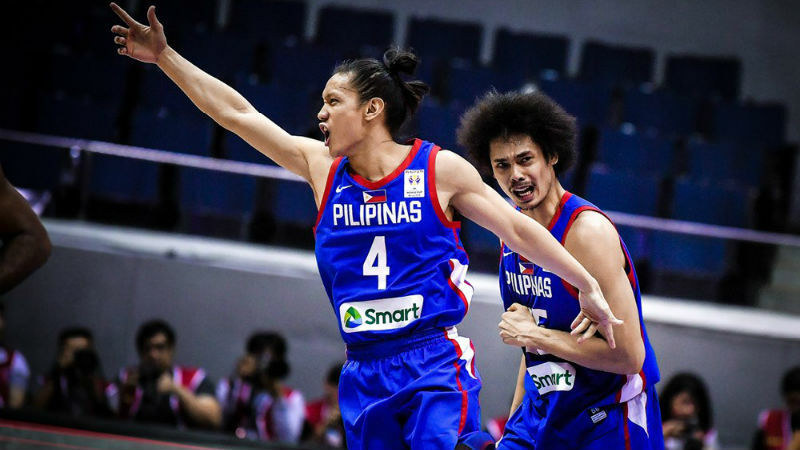 The Qataris got a taste of this as they blew an 18-point first half lead against the Filipinos last September 17 and eventually lost, 92-81, reportedly the biggest winning margin Gilas had against Qatar. Guiao did his usual equal distribution of playing time, with on three players logging over 20 minutes in the 40-minute game. Stanley Pringle led the team in hardcourt exposure with 24 minutes, followed by Marcio Lassiter and Japeth Aguilar with 22 each. It would hardly come as a surprise that two of these three are also in the top three of the plus-minus category, meaning how much Gilas outscored Qatar while they were on the court, for the game. Pringle and Aguilar were both a +11, good for third in the team. Only Matthew Wright (+15) and Beau Belga (+14) had better numbers. Guiao was also on target with his unpredictable deployment of bodies in his lineup and leave the right combination on the floor most of the time. He started with Asi Taulava, Pringle, Scottie Thompson, Ian Sangalang, and Gabe Norwood. Aguilar played sparingly in the first half but was on the floor closing out the game. He also used the entire floor to create scoring opportunities and avoid over-reliance on long distance shooting despite the team’s disadvantage in height. Gilas outside snipping was surprisingly ice-cold, going for 3-of-32 for a measly 9.4% shooting clip but were red-hot in the two-point zone, connecting 29 shots of 49 attempts for a 61.7% shooting clip. They had also one of their best shooting clips from the line, connecting 25 of 32, for a 78.1% clip. This was one of the best performances of Gilas I saw in relation to shot selection. Truth to be told, I never felt we would lose the game, even when we were down by a huge margin in the first half, because of their shot selection. While it is true their attempts outside failed to connect all game long, they keep on taking them and mix it with a considerable amount of drives and perimeter shots that kept the Qatari defense honest and off-balanced. Their 32 attempts from rainbow territory did enough damage even if they kept on clanging the rim because it kept the lane open for the penetrations. The team’s defense is also not to be downplayed as they limited Qatar to a measly 12 points in the third, after them scoring 26 during the first two quarters. Gilas is also blessed with naturalized players that do not duplicate each other’s abilities, which another facet that Guaio can exploit. Andray Blatche, Christian Standhardinger, and Pringle all present different kinds of skillset, all to the liking of Guiao’s system and the rule on fielding of lineups in the Asiad Qualifiers. In the Asiad Qualifiers, lineups can be submitted the day before the match. Add to this the return of the suspended players, injured bigmen June Mar Fajardo and Greg Slaughter and Jordan Clarkson, who are all allowed to play as a local player. Blatche, Fajardo, and Sluaghter are all legit bigmen who can give fits in the paint against any other Asian team. I cannot wait to add Justin Brownlee to that mix if and when he passes the naturalization process. Switch Brownlee instead of Blatche and we have a versatile swingman who can shoot, rebound, and pass to go along with Fajardo and Slaughter.. Moreover, he can create his own shoot when needed. Guiao’s style is already difficult to predict by teams in the PBA, who plays him regularly. I could only imagine the nightmare that foreign scouts experience when he suddenly presents them a surprise by having a different rotation for every game and fielding different players from previous matches.